Office Advertisement — a. robin aylor, ph.d.
Beautiful, Part-time space available in furnished, newly renovated, classic Craftsman Cottage. Established therapy practices with strong referral base for like-minded, select therapists. 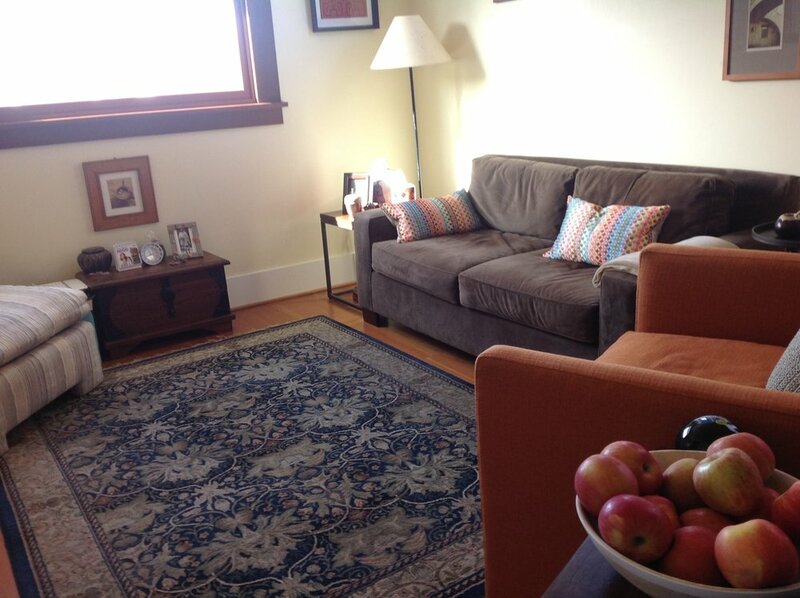 Conveniently close to Downtown, French Hospital and Cal Poly campus. Call Dr. Aylor @ 800-460-9219 for further details, or email aaylor@gmail.com to set up a time to view. Off-street parking is available immediately behind the offices. There are four spots available which is generally more than adequate for our clients. Clients with large trucks may prefer to park on the street. All ground floor offices are handicap accessible and the bathroom is wheelchair accessible. 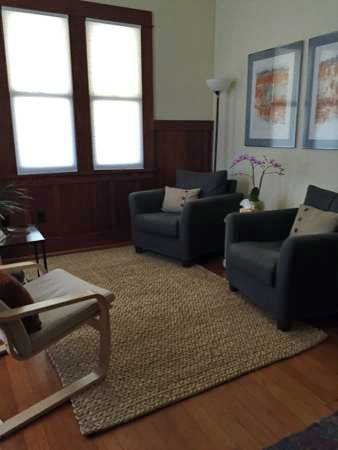 Clients are welcomed into a large and comfortable waiting room. Office #1 is located off the main waiting room and is surrounded by beautiful Douglas Fir Wainscoting. This office is currently available Mondays and Fridays. For 2-days a week, this office would cost $500.00/month plus NNN costs. Office #2 is a large, airy office located in the back of the building and is swathed in light all day long. This office is available Fridays, weekends and Wednesday, Thursday & Friday evenings after 6:15 p.m.. This office would cost $250.00/month plus NNN costs for Friday only use. Additional rates would apply for evening use. Office #3 is available Tuesdays, Thursdays and Weekends. It can also be available Monday, Tuesday, Thursday & Friday evenings after 6:15 p.m.. This office is $225.00/month per day of use plus NNN, For example, Tuesdays and Thursdays would be $450/ month plus NNN costs, Evening only use would be calculated separately for this office only.